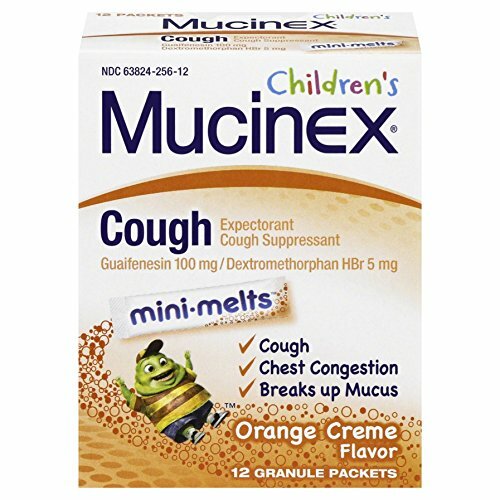 Children's Mucinex Expectorant and Cough Suppressant Mini-Melts in Orange Cream flavor is a quick-melting, great-tasting way to break up mucus and quiet coughs. Children's Mucinex Cough Suppressant Guaifenesin 100mg and Expectorant Dextromethorphan HBr 5mg. Mini-melts can be used for cough suppressing, chest congestion relief, and breaking up mucus with an orange cream flavor!